I love this photo. It is beautifully-detailed with lovely color and nice depth of field. Superb shot – I think we will go there tomorrow on the strength of this! Stunning photograph; excellent entry for the theme. Lovely photo of the ruins. Is it an ancient temple or something? 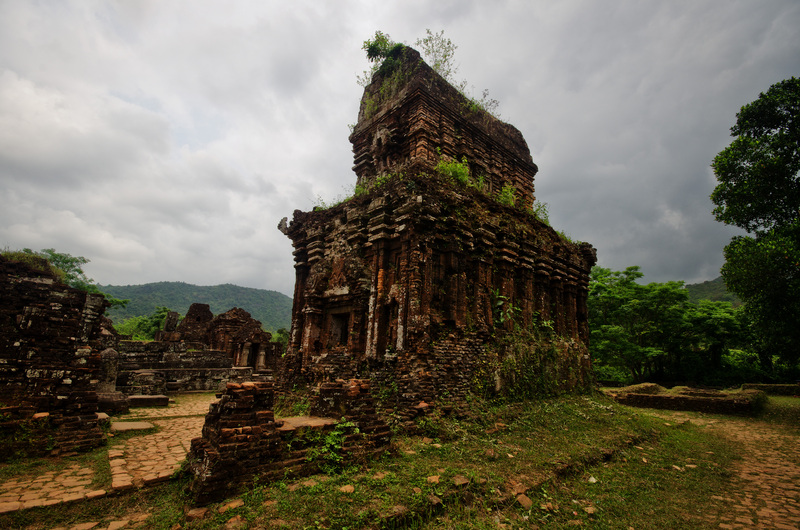 My Son is a cluster of abandoned and partially ruined Hindu temples constructed between the 4th and the 14th century AD by the kings of Champa. It was very nearly destroyed during the Vietnam War. Brilliant photo for this week’s challenge. Love how the grey clouds add an ominous and pre-historic feel to the abandoned temples. Well done.